I made a small gift for my customers. 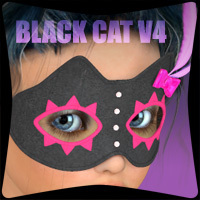 It seems that I forgot the method to making a Poser content completely. So, I had a hard time with the making of such a small item. Although I really wanted to make a better thing than this, but I’m still not up to my usual form. 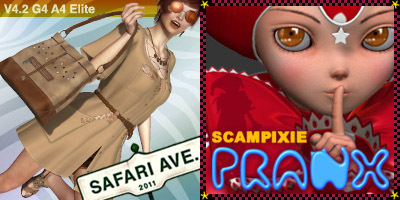 If you are an owner of my product (Safari Avenue or Scampixie Pranx), Check the members site. I don’t know if you’ve seen, but there are freebies for Pippin! I made some Tee textures for Pranx, Wayii made the mat pz2’s. Very nice. Love the feathers on it! Thank you so very much! Mel, Thank you 😀 😀 😀 I got the files. And I found Margy’s texture for Sambie’s Pippin Dress on the same screen. 🙂 Although I am often checking the FreeStuffArea, I had missed them.